Sir William Herschel was a German-born British astronomer and composer, who is widely credited as the founder of sidereal astronomy for observing the heavenly bodies. 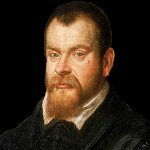 He found the planet Uranus and its two moons, and formulated a theory of stellar evolution. Knighted in 1816, Herschel was also the first astronomer to suggest that nebulae are composed of stars. 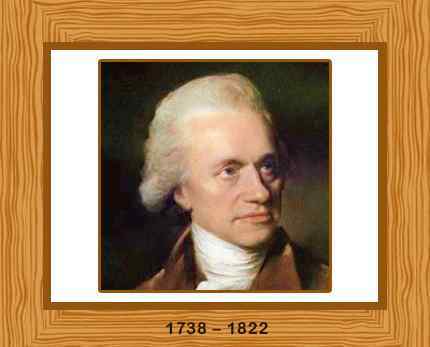 Born in Hanover, Brunswick-Lüneburg on November15, 1738, William Herschel’s father was a musician who worked for the German Army. Following the French invasion of Hanover in 1757, his father sent him to seek refuge in England, where Herschel became a music teacher and composer. After studying Robert Smith’s “Harmonics” and “A Compleat System of Opticks”, William Herschel soon developed an interest in the techniques of telescope construction, as well as the distant celestial bodies. He built his own telescope and eyepieces that were advanced enough to have a magnifying power of 6,450 times. Herschel conducted two preliminary telescopic surveys of the heavens, and in 1781, during his third survey of the night sky, he discovered an extraordinary object, which was actually the planet Uranus, and its two moons, Titania and Oberon. The discovery earned him the prestigious Copley Medal in 1781 and a fellowship at the Royal Society of London. Herschel later studied the nature of nebulae and discovered that all nebulae were formed of stars, hence rejecting the long-held belief that nebulae were composed of a luminous fluid. He also discovered two moons of Saturn, namely Mimas and Enceladus, and coined the term “asteroid”. Herschel maintained that the solar system is moving through space and found out the direction of that movement. He also suggested that the Milky Way was in the shape of a disk. William Herschel was appointed a foreign member of the Royal Swedish Academy of Sciences in 1813, and was knighted three years later in 1816. He died on August 25, 1822 in Slough, Berkshire. Herschel was 83 years old.